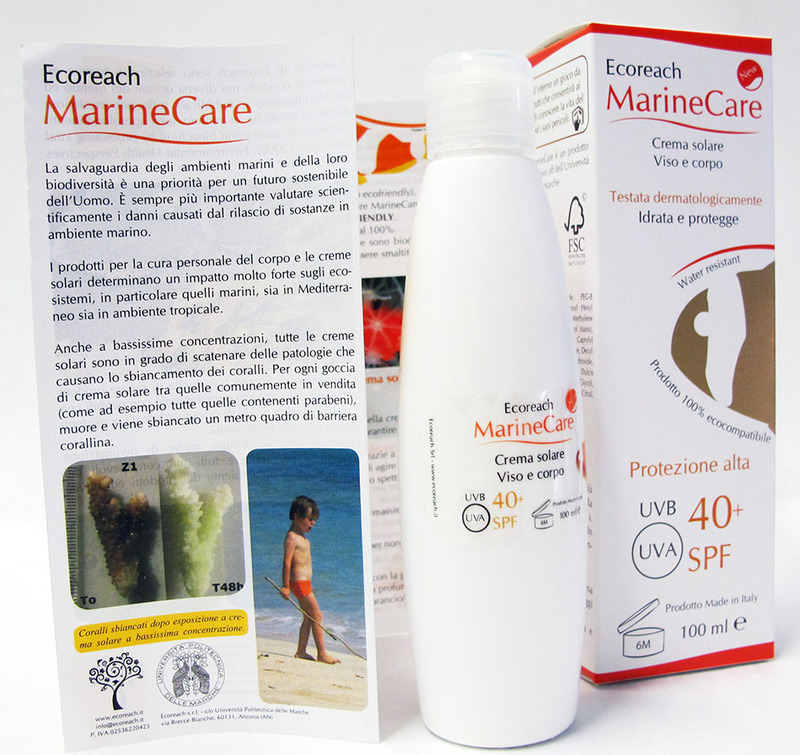 MarineCare sunscreen, an international patentee of the Polytechnic University of Marche and the team of Ecoreach researchers, is completely eco-compatible to ensure total marine environment protection and her biodiversity. Both the box and the bottle are fully biodegradable at 100% (the lid must be disposed of separately as plastic). 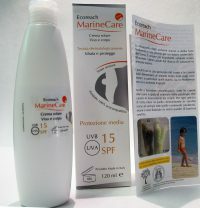 All MarineCare Sunscreen components have been tested at sea and in the laboratory, limiting the risk of redness and irritation. This formula excludes all components that may be detrimental to the marine environment (ethoxyl methoxycinnamate, benzophenone-3, 4-merthylbenzylidene camphor, parabens and nanoparticles). 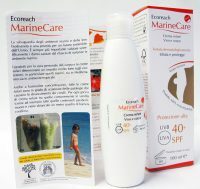 MarineCare contains only organic and compound compounds that are environmentally friendly. The packaging becomes a fun game for children with the inhabitants of the sea. 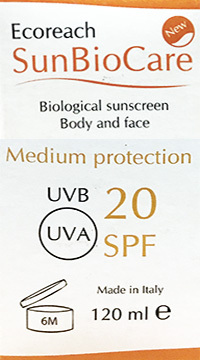 Look inside the box of your sunscreen! For orders over 2 kg shipping costs will be subject to a price change.